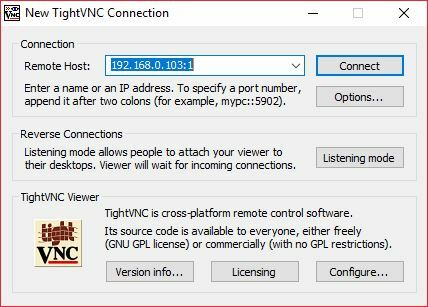 Personally, we have tried installing VNC as well as much other software that can provide remote GUI access to the Raspberry Pi, but we were quietly not satisfied with it. So here in this tutorial we are going to install TeamViewer on Raspberry Pi 2/3 within a minute. Why we don’t like VNC much? The first thing is that VNC server has to be started manually (at least in our case) with certain resolution parameters so that it can fit our screen every time. This is a tedious as well as very time-consuming task, and we don’t like that. Also, another drawback of the VNC is that you can’t use the host screen directly. That means a virtual instance is created and then it can be accessed via VNC. As soon as we close the VNC server all the instances are destroyed. First of all, we love to use the raspberry pi without a screen for our Internet of Things projects i.e. headless configuration. We usually have a laptop with us, and we certainly want laptop’s display to work with raspberry pi. But that is not simply possible. This is where TeamViewer comes in. You can set up unattended access as well as set TeamViewer to auto start on boot. Also, unlike VNC to remotely access the raspberry pi over the internet requires a private IP address while TeamViewer just requires ID and Password for the access. So you won’t have to worry about getting a private IP address which can cost you few bucks. We are searching for the tutorials on installing TeamViewer, and we found some, but unfortunately, we found none of them worked for us. This was because we were trying to install the version that was available for normal computer processor not ARM processors. Luckily there is a beta version of TeamViewer that is specially designed to work with Raspberry Pi 2 and 3. However, Raspberry Pi Zero, as well as version 1, are not currently supported. It has at least 35MB of disk space. You have Raspbian 8.0 Jessie with X-Server or Framebuffer VT.
Now transfer the deb file to your raspberry pi and open up the terminal. Install the deb file like we do on the Ubuntu. The command is “sudo dpkg -i filename.deb”. Let the process complete. Now there will be several unmet dependencies. To fix this first type “sudo apt-get update” and wait until all the packages details are downloaded. Now use “sudo apt-get -f install” to install all the dependencies or use “sudo apt-get -f upgrade” to install dependencies as well as upgrade other modules. You are good to go. By default, the Teamviewer will start at the boot, and you can also connect it using the headless mode. 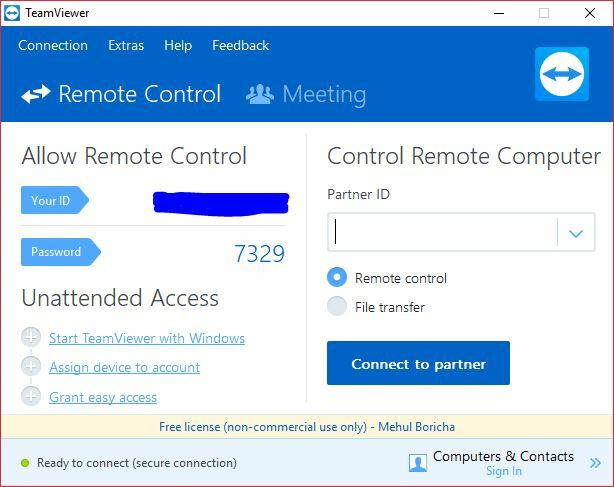 Type “teamviewer help” for more details. You can simply open the TeamViewer from the menu -> Internet -> TeamViewer or if it’s already running then you can see the little TeamViewer logo in the top taskbar. Note down the ID and Password. Now you can connect to your Raspberry Pi from anywhere. From the settings menu, you can also set up unattended access and set a permanent password to access it. Connect to your Raspberry Pi via SSH. To find out the id, you can type “teamviewer info” or to setup headless access you can type “sudo teamviewer setup”. So that was very easy. 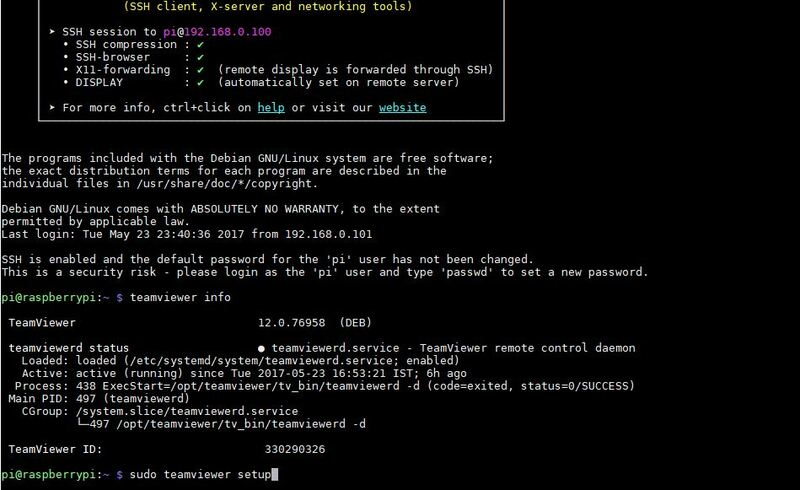 We hope that you have enjoyed this tutorial and you were able to install TeamViewer successfully on your raspberry pi. If you encountered any problem while performing the installation, then do let us know using the comment section below. Also, don’t forget to share it with your friends who are using or are interested in raspberry Pi tutorials and Internet of Things. Next articleMBR vs GPT: Which one is better for your Hard Drive? I was searching all over the internet looking for a way to use Teamviewer with RaspBerry Pi – and I had given up because everything was so confusing or cost money. I then tired using the different VNC options and actually got it working but I could not see the web browser on the client. I finally came across your instructions, and I cannot express my gratitude enough on how much easier this was. I could not install it within a minute lol because it takes so long to install and update everything but it was extremely easy. Thank you for making this so much clearer. How would I update TeamViewer on pi to the latest release? Actually, I haven’t thought about it yet but will let you know if I find out. ? Now I would like to connect my computer to the raspberry pi. When I open teamviewer on my computer an I enter the Partner ID (wich I´ve found on “teamviewer info”) I can´t connect to the raspberry because I don´t have the password. Can you please tell me where I can get the password (headless access). Because I didn´t assigned a password. As I mentioned in the article, to setup headless access use command “sudo teamviewer setup”. Let me know if you face any problem. I don´t have the desktop version for my Pi and I have no monitor or a display for my Pi. Sometimes, when I want to connect to my Pi, especially my IPhone, I have to enter a password. Is the massage of my IPhone. My question is: Where can I find this password? What can I do to connect to my Pi? 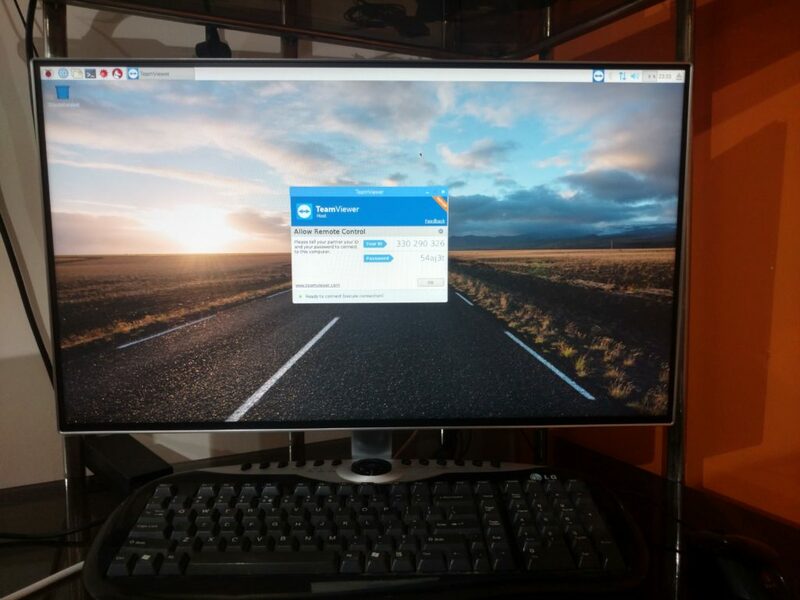 I am using Raspbian stretched lite, installed TeamViewer successfully but only can connect when terminal is running. I made it to run chromium-browser in kiosk mode using openbox, but when browser is running I can’t connect to my raspberry pi. First, Connect the Pi to a display and setup a static password to connect to the teamviewer. Then reboot and check teamviewer GUI is started when Pi boots. I think this will resolve your problem. The problem is switching between the tty’s. I can connect it from tty2 but when I enter startx to start Openbox (tty1) to run my program I cannot connect to my pi. It shows online though.